This Is Him! 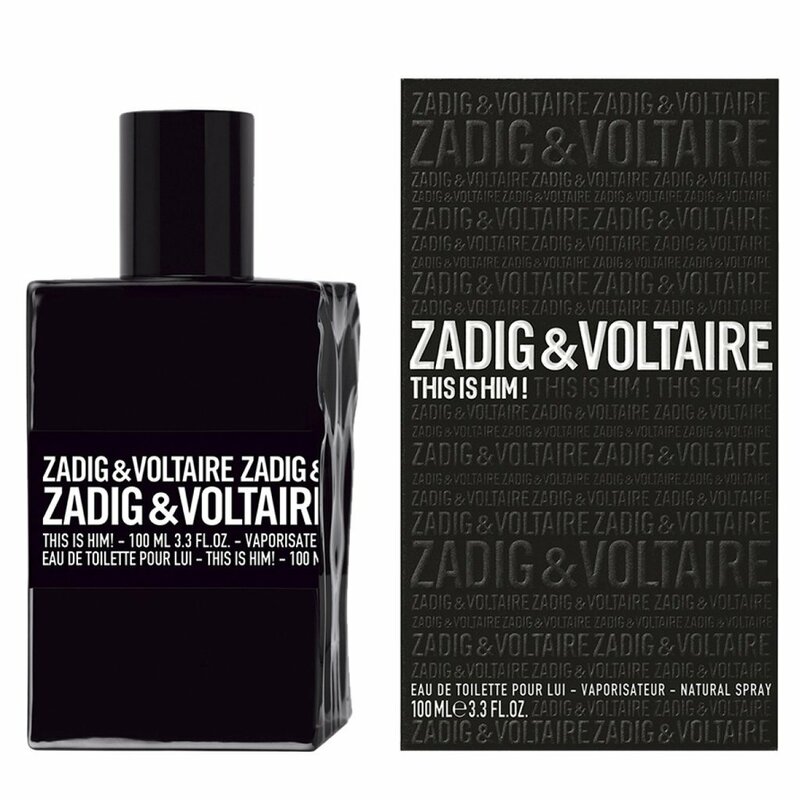 is a perfume by Zadig & Voltaire for men and was released in 2016. The scent is woody-spicy. It is being marketed by Shiseido Group / Beauté Prestige International. The face of the advertising campaign is model Sam Lammar. If Zadig & Voltaire flies a little under the radar with the wider masses, then r finds absolute approval with me. Does not always fit, is not 0815, but with a leather jacket, black jeans and a black shirt ... Pooh. Come on! The light vanilla note, which starts after a short time and makes the fragrance a little rounder, is not really noticeable, but when you know it, you notice that the fragrance loses some of its 80s After Shave character. With me it was rather "love" on the second Riecher, but for me again and again portable. However, those who aim for compliments are likely to get them from men if they do. Can only remind me of a lady who spoke to me about my scent to find out what it was. However, if you want to smell a bit more "gritty" and/or want to underline your outfit (ideally All Black with leather jacket), you should at least try this fragrance. The moderate price makes it a very good option in any case. I: "Hello Mr. Draculta, thank you for making yourself available for the interview!" Mr. Dracula: "Haha just such a phrase..."
I: "Oh, haha understand... So Mr. Dracul..a, let's do this. Today I may ask them about their olfactory preferences. But maybe some personal questions for now, so that the listeners and readers can get to know them a little." "Go ahead! There's still time to eat!" I'm like, "Okay. First question... what do you like to eat?" Mr. Dracula: "Bluuuut!! ... uh... blood sausage! Cool and bloody!" I: "Haha why not, yes I like to eat them sometimes! Second question... Where do you prefer to spend your summer holidays?" Mr. Dracula: "In gothic castles... cool and gloomy." I: "Oh understand, yes, these adventure journeys have become more and more popular lately... you've seen every beach in the world, haven't you? Okay. what's your favourite drink?" I'm like, "Well, that's nice of you to bring your favorite drink. :) I'm looking forward to it! Then let's move on to the next question... what do you like to wear?" Mr. Dracula: "So preferably corpses through the area... or black, if they've referred to clothes now? I like it dark and weighed!" I: "Hahaha, they Transylvanians really have their own humor, it's true what everyone says... yes, the clothes, I meant. Which smells do you like?" Mr. Dracula: "Alssso, I like the smell of earth, incense, cool damp stone... maybe a little spice as long as it's not garlic!" I'm like, "Oh, incense, it's always said you Transylvanians don't like incense?" Mr. Dracula: "This is a widespread misconception, we like incense because it creates such a pleasant atmosphere in cool large buildings. Like an olfactory shadow. I like shadows." I said, "And what's her favorite perfume?" 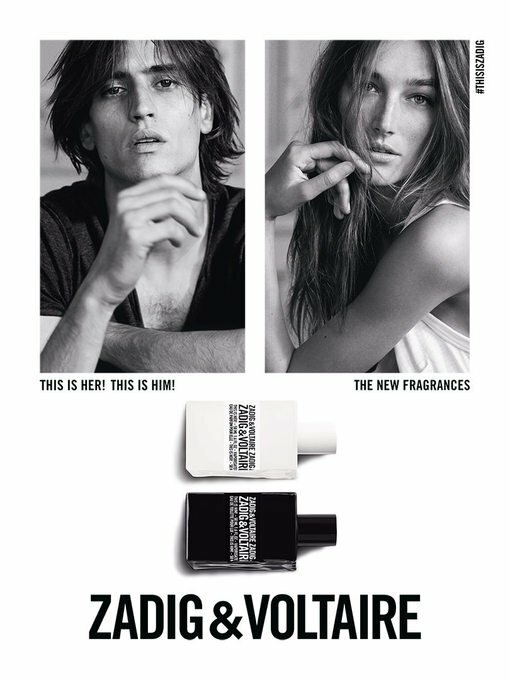 Mr. Dracula: "It is called "This is Him" by Zadig & Voltaire. These are... Family members of mine who live in a French castle. They have the same good taste as me." I said, "Oh, I didn't know you were related How would you describe the scent?" Mr. Dracula: "Well, I find it smoky, spicy and very dignified. It covers the skin like a veil. If he had a color, it'd be gray. It also has a slight sweetness that rounds off the whole, so that the perfume exudes a certain attraction, but no matter how close you get to it - the cooling incense remains the defining foundation, making it always a gothic. A slightly evil but good-looking and charming goth, just like me." I say, "Haha, that's what I call a good explanation! Thanks for the description! And on what occasions do you like to wear it?" I said, "Yes, I think he's worthy of Signature. Well then thanks for the interview, and have a nice evening!" Mr. Dracula: "But you don't want to leave now, do you? Try my red wine!" I: "Forget Mr. Dracula, I know about you, and as a precaution I have layered Viktor & Rolf's Antidote and Paco Rabanne's Invictus Intense on top of each other, so your vampire genes would make you flinch at a slight approach to my skin because of the penetrating sweetness, and in case of a bite I would be prepared for your transformation poison." I said, "Thanks for the interview!" All black, leather jacket & even to the suit. This is Him is so incredibly versatile, but somehow not. 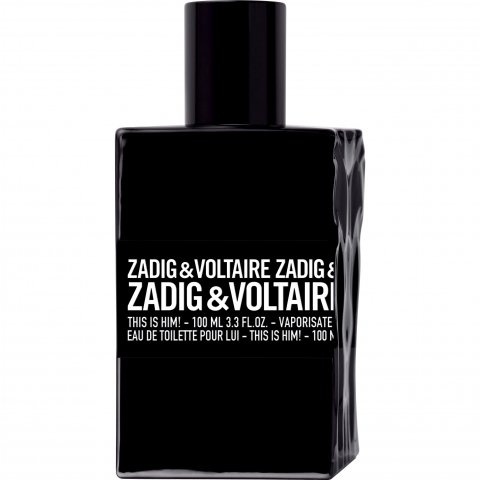 The fragrance by Zadig & Voltaire, which only appeared in 2016, shines with every black outfit. Somewhat leathery, slightly peppery and rounded off with vanilla. This is a good way to describe this fragrance. Through black outfits, this fragrance can very quickly change from not quite everyday to super everyday fragrance. 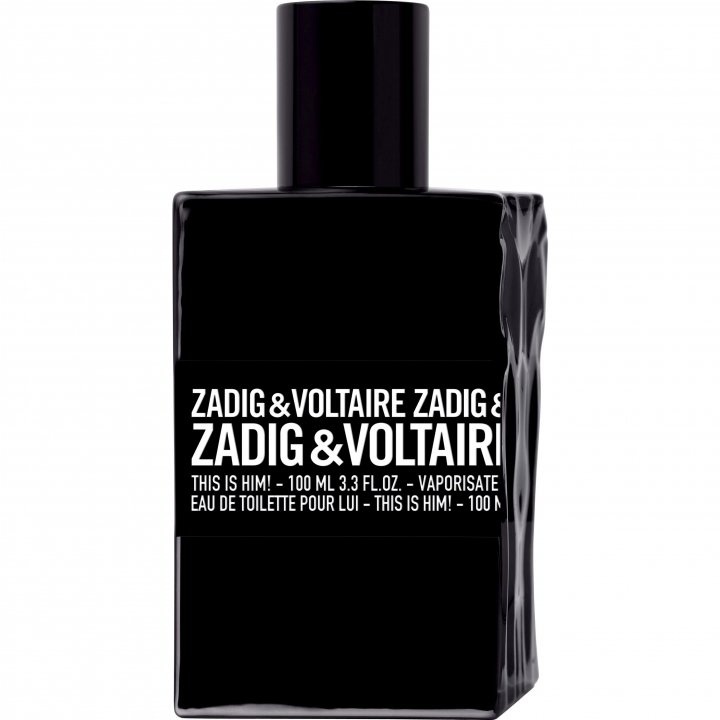 Zadig & Voltaire works ONLY stylishly in a suit or rocky with a leather jacket. You're out in Grandma's green and grey striped sweater? Not a chance. This fragrance must be supported by purer toughness. The durability is solid. He can do about 6-8 hours. Pepper, Vanilla, Wood and some grapefruit in the top. It’s like a comforting badass in a leather jacket. You know the type: The one who either starts a fight or stops an ongoing one. You really don’t know what to think of that person, all you know is that things always get interesting when he is around. I love this one though, especially the dry down.